British comedian and universally agreed-upon good guy Ricky Gervais has decided to lend his silky, dulcet tones to the upcoming ABC fantasy musical series Galavant. The show—set in a medieval kingdom full of magic, monsters, wizards, and definitely nothing resembling any other show on ABC—tells the story of a hero, played by Joshua Sasse, who vows to get revenge against the king who stole his true love from him. 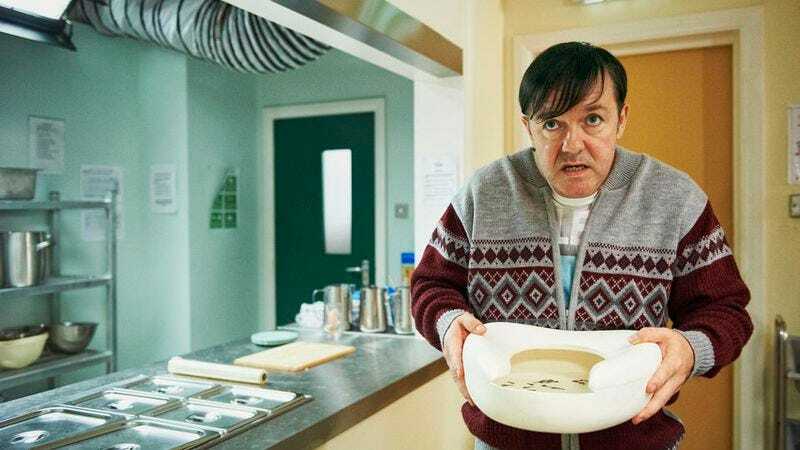 Gervais will play a character named Xanax, who is described as a wizard “well-known for having the best potions in all the land.” ABC also describes the show as a comedy, in case “Ricky Gervais, the medieval wizard named Xanax” left it unclear what kind of tone they were going for. Galavant will debut on ABC in early 2015. Here’s hoping it makes better use of Gervais’ talents than his most recent series.